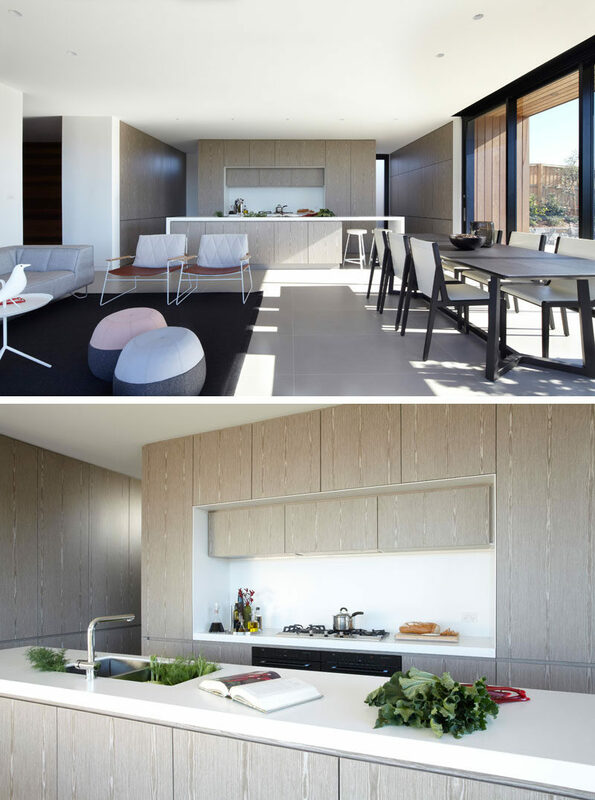 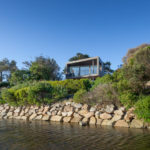 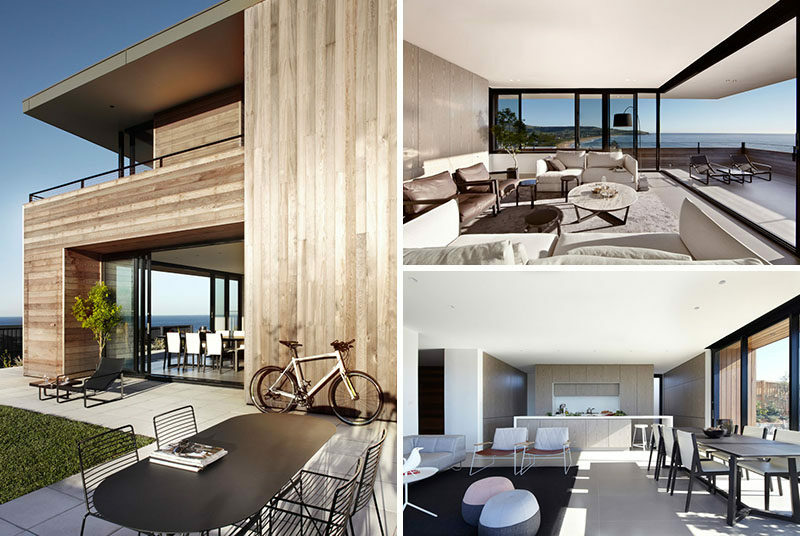 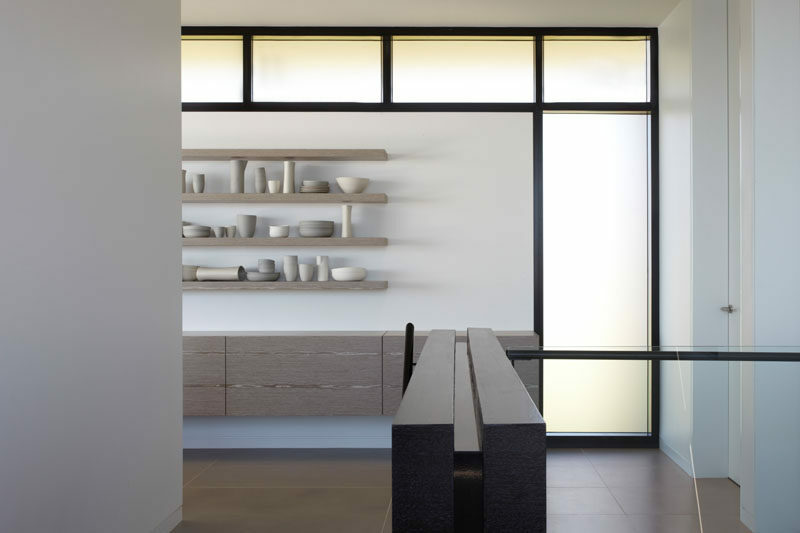 Smart Design Studio have created this modern house that overlooks the beach on the edge of a sleepy coastal town in Australia. 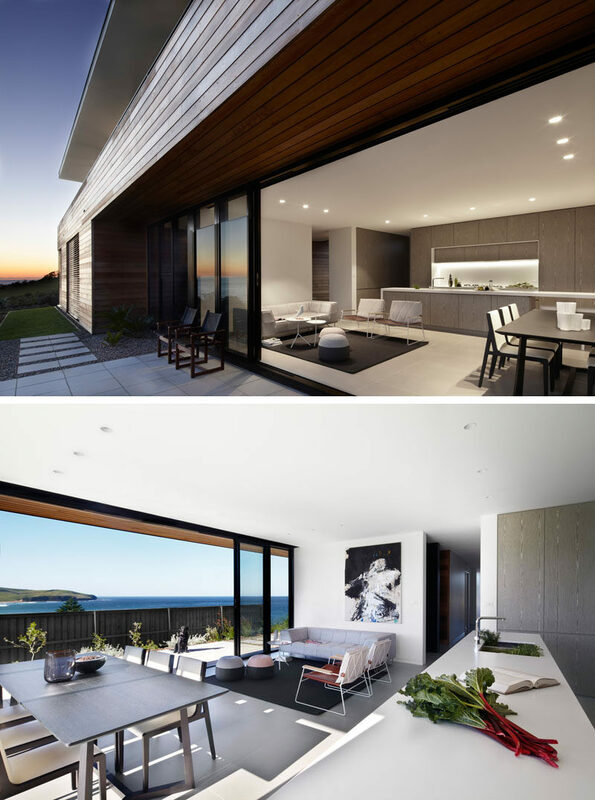 The design of the house has large walls of glass on the upper floor with deep shaded terraces that are created by the cantilever roof. 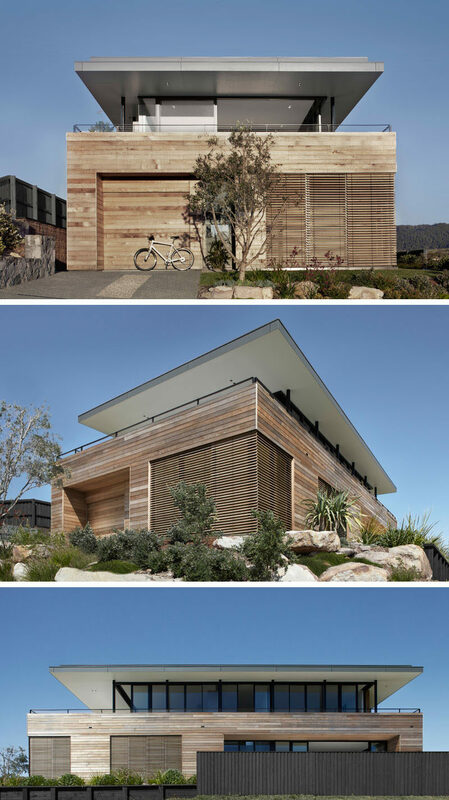 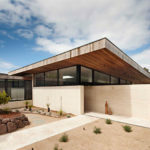 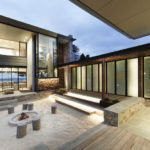 These hover over the cedar-clad ‘box’ below, whith its deep reveals and adjustable timber louvres.